The ST-1 is based on the same ground breaking design as our original 2x12 line but in a smaller 1x12 size. These small cabinets pack a punch to be reckoned with. The innovative and precise porting along with choice tone-woods yield a tremendous low end without sacrificing any mid or high end clarity. They can cover anything from jazz to metal and everything in between. All in a package that rivals most 4x12 cabinets on the market today! The ST-1 sets the benchmark for 1x12 performance. 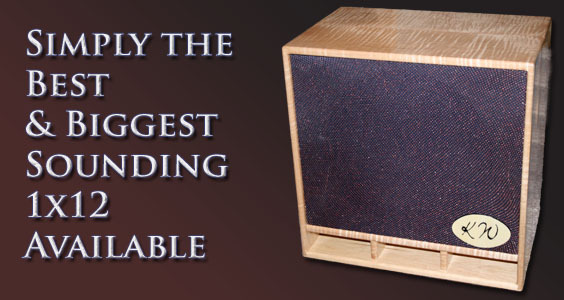 If you're ready to step up to huge sound from a small package, the ST-1 is sure to please.